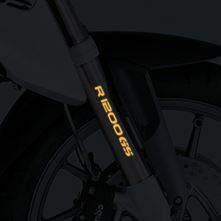 Add more visibility to your bike! 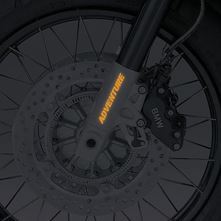 Cut from high quality reflective outdoor vinyl, this sticker is easily placed on your motorcycle fork or any other spot you desire. Attention: instead of sending you "EXPLORE" we will send you "EXPLORER", you can choose which text you prefer by just cutting off the "R" in "EXPLORER".